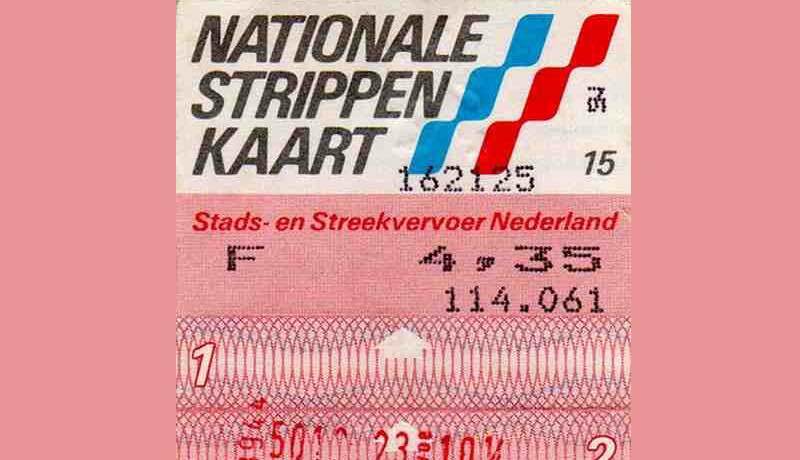 The National strip ticket (in Dutch: Nationale Strippenkaart) replaces in 1980 all the regional bustickets. 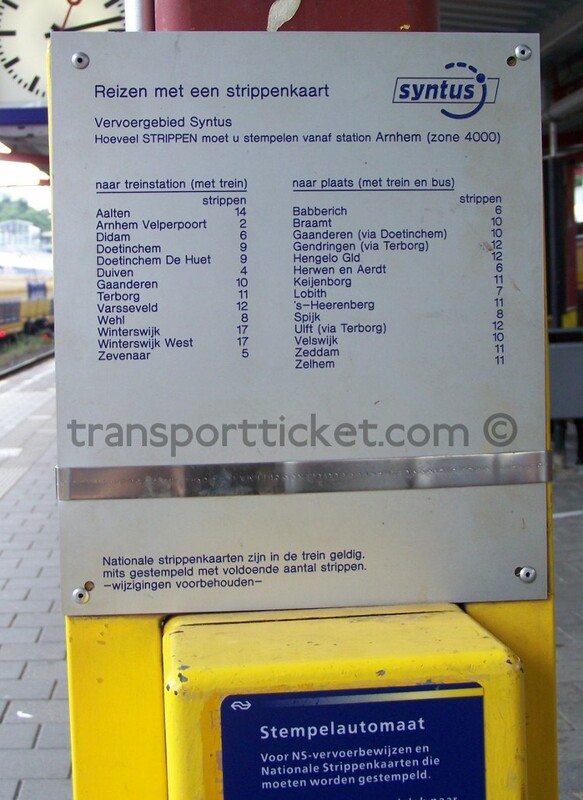 From then on the strip ticket is valid in almost all buses, trams and subways in the Netherlands. 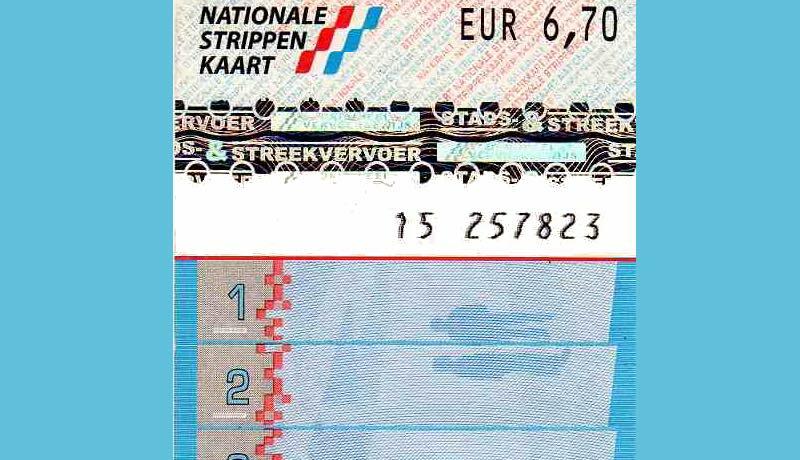 The strip ticket is also valid on a number of railway routes. 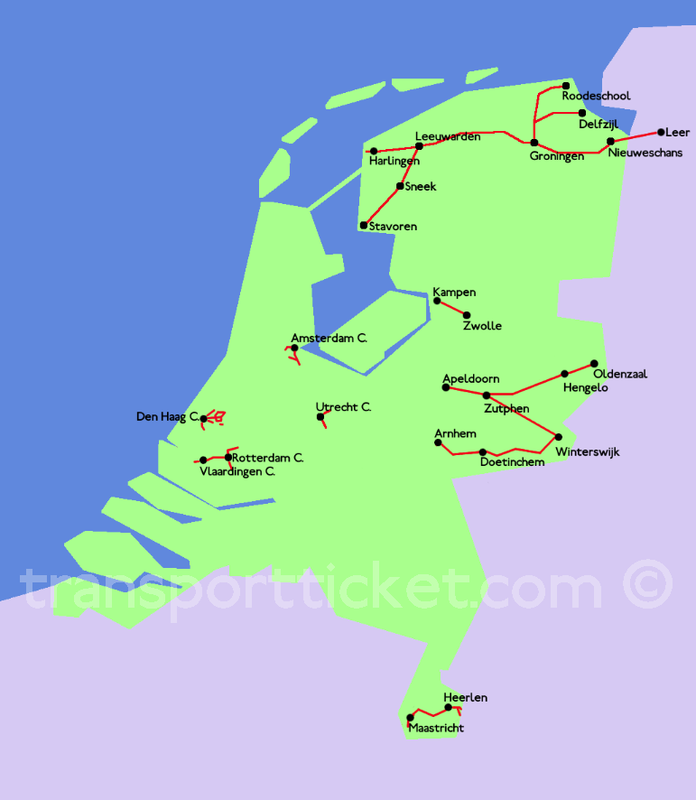 The Netherlands is divided into a large number of zones. The number of strips that has to be validated equals the numbers of zones plus one. 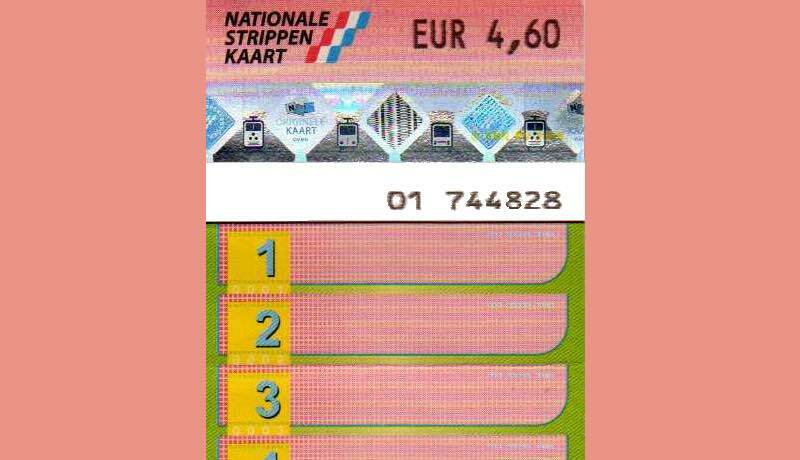 Strip tickets can be bought in advance at post offices, stations and shops. 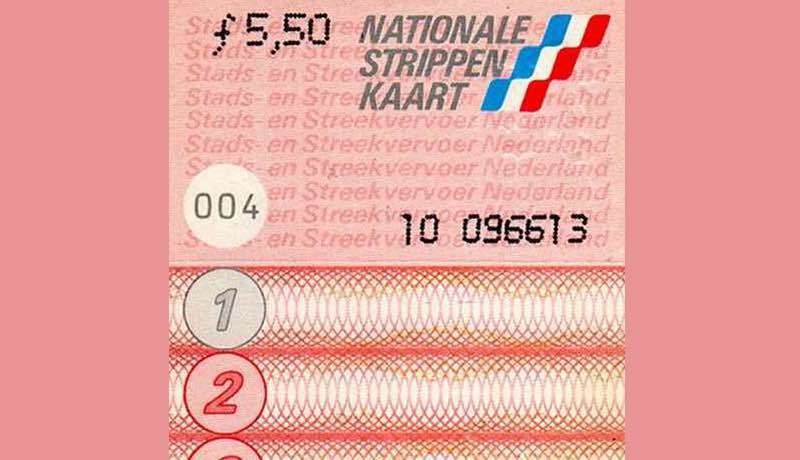 Strip tickets can also be purchased from the driver. 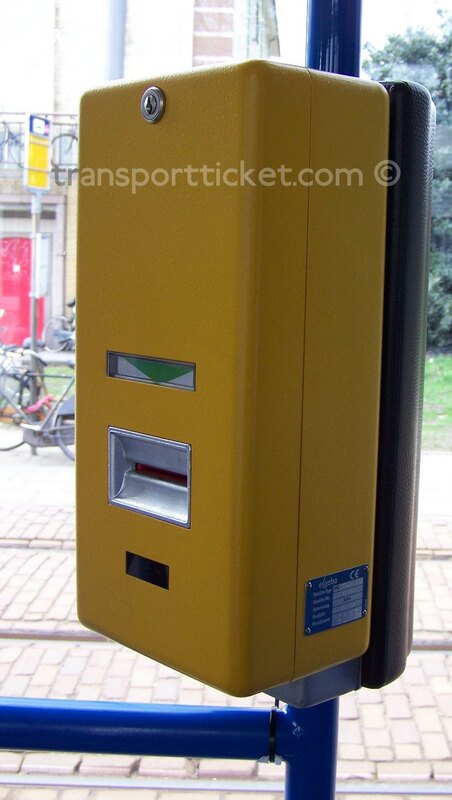 It is also possible to buy strip tickets from ticket vending machines. Strip tickets bought in advance are blue (full fare) and pink (reduced fare). Strip tickets purchased form a driver are grey. Strip tickets purchased from a driver are more expensive than strip tickets bought in advance. 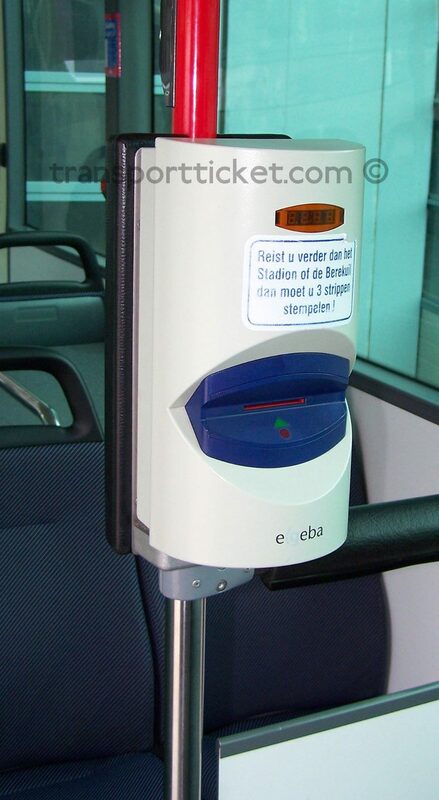 This is to prevent people from buying their tickets in the bus or tram. This deminishes the chances of delays. 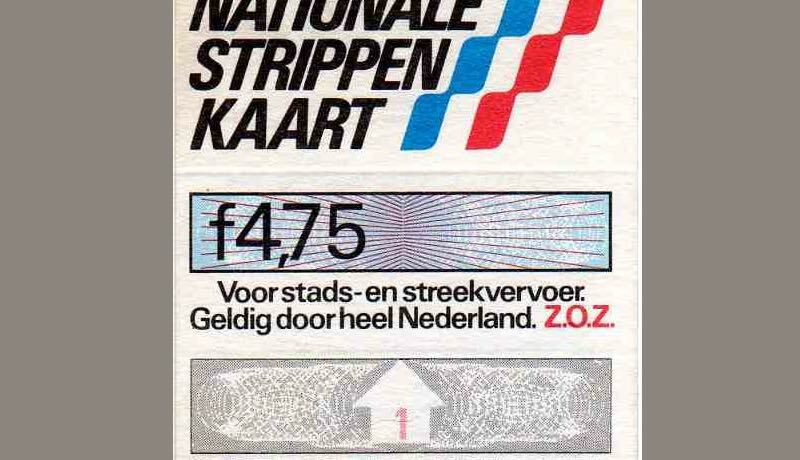 The first years drivers didn't sell 'small' strip tickets as well. It wasn't possible to buy a single for a short journey. 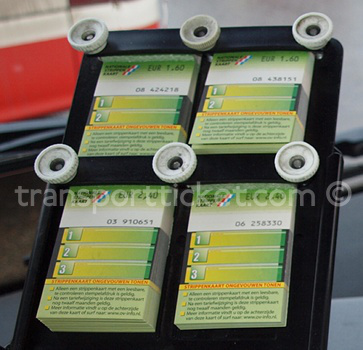 The smallest ticket a driver could sell were tickets with 6 strips. Usually, for a journey in a city only two or three strips are needed. 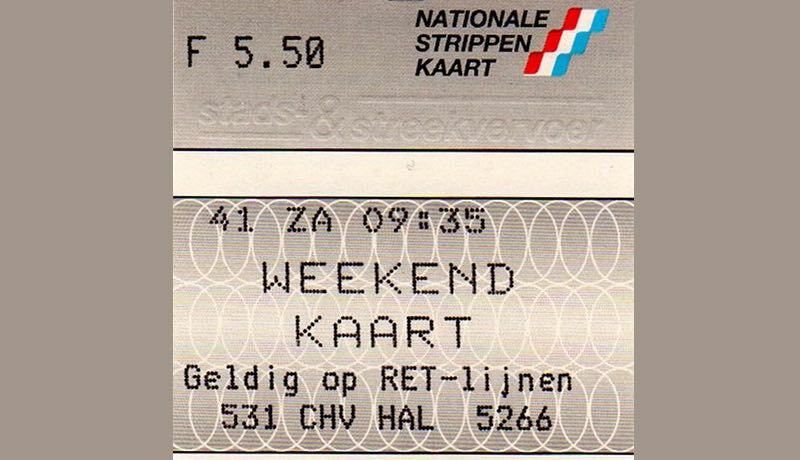 In april 1985 a small scale test started with the sales of 2 and 3-strip tickets. A year later these tickets are introduced everywhere in The Netherlands. 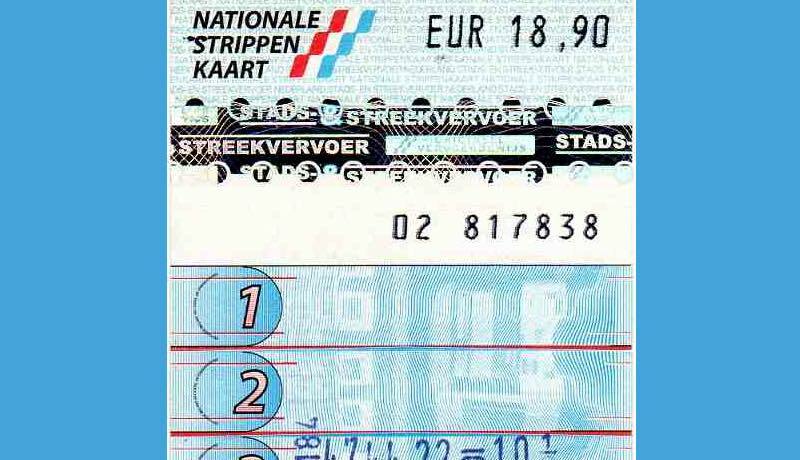 The strip ticket can be used in the 2nd class of several railway lines in The Netherlands and even to Leer in Germany. 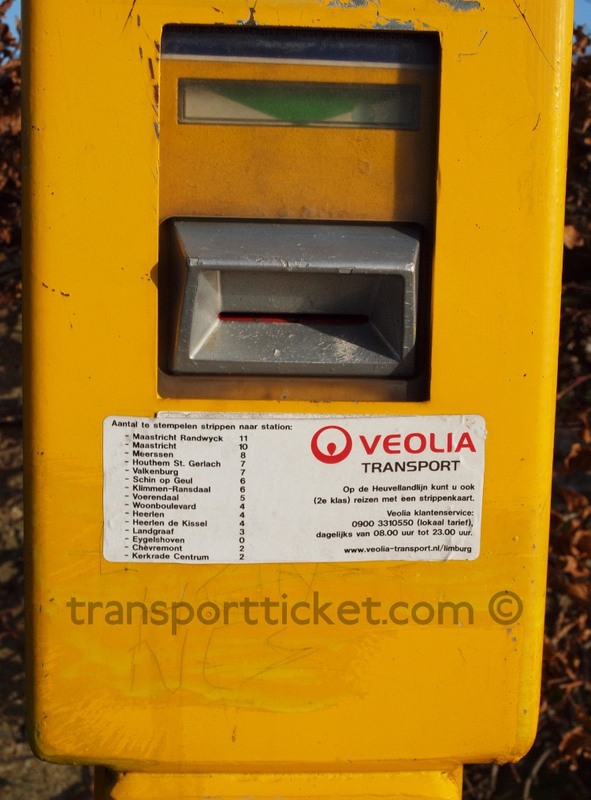 Until the introduction of the OV-chipkaart every railway station has yellow validators ("stempelautomaat" in Dutch) for train tickets without a printed date. 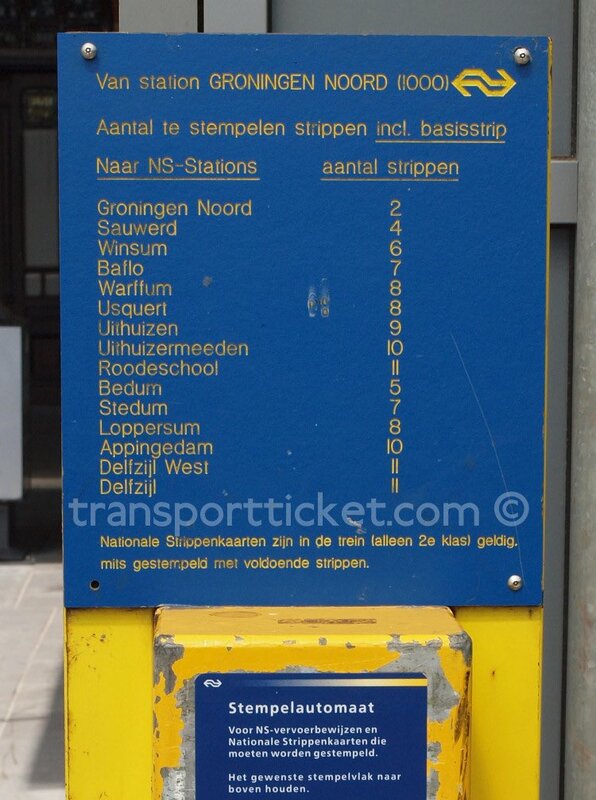 The validators on the above lines could also be used for validating strip tickets. Usually a sign was added above the validator to show the number of strips needed to a certain destination. In 1985 Green Persil (Groene Persil) is introduced to the Dutch market. This is the first washing powder without phosphate in the Netherlands. This is more environment friendly than existing washing powders. Two years later a free strip ticket is given away as a promotional gift to buyers of Green Persil. This strip ticket is enclosed in the packaging. This strip ticket has almost the same validity as a 'normal' strip ticket. During weekdays this ticket is not valid between 7 and 9 am. The last day of this promotional activity is march 31st 1988. 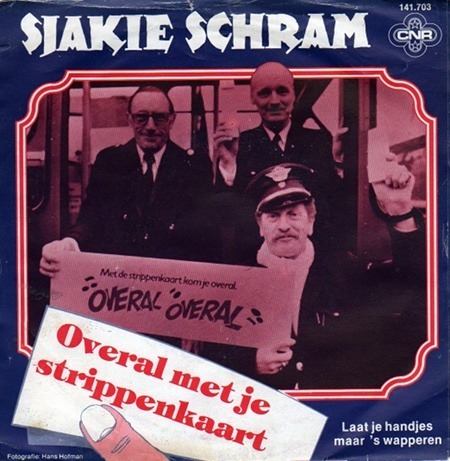 Sjakie Schram (1927 - 1989) is a singer from Amsterdam. He becomes famous in Holland in 1966 with a song called 'Glaasje op, laat je rijden' ('Had a drink, let someone else drive'). This song reaches the number 2 position in the Dutch charts. 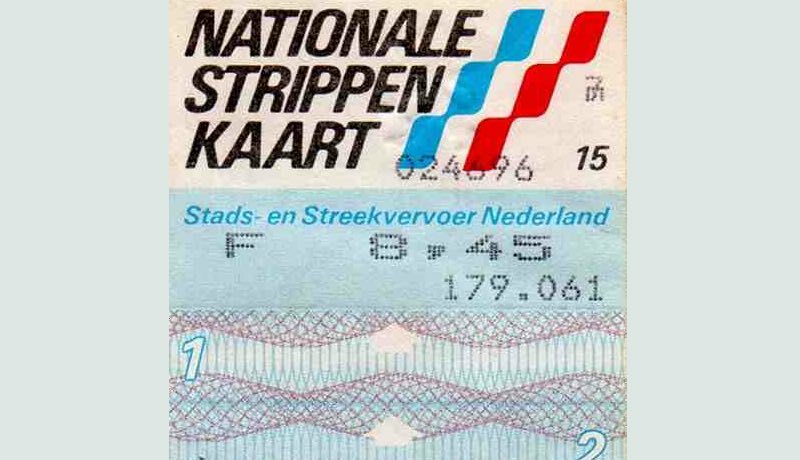 In 1980 he releases a song about the just introduced strip ticket, 'Overal met je strippenkaart' ('Everywhere with your strip ticket'). He releases the song for a second time in 1984. The song isn't successful. 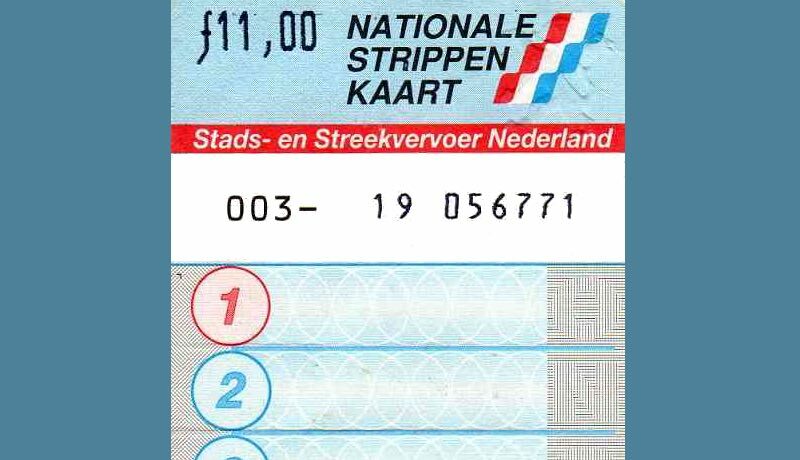 In 1990 Dutch artist Rob Scholte made a screen print of a Strip ticket [opens in a new window] in an edition of 125 signed pieces. 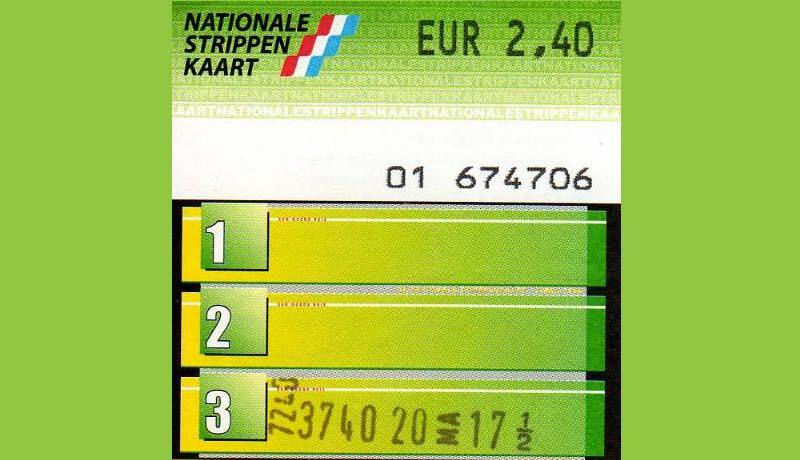 In 2009 the abolishment of the strip ticket is started. 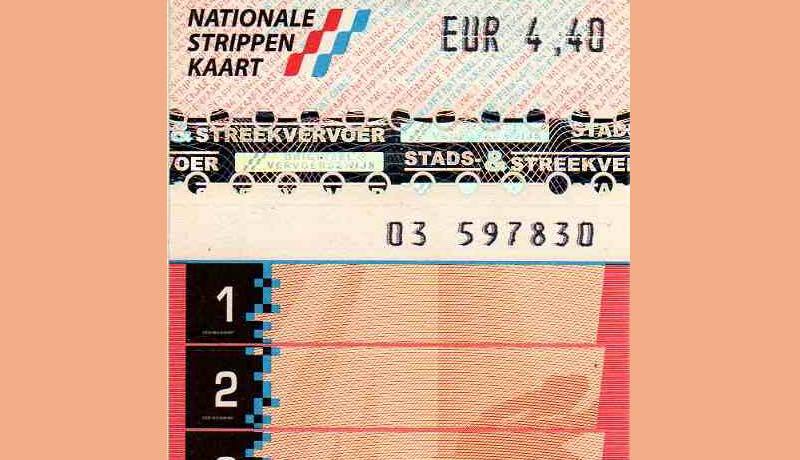 The strip ticket is replaced by a smard card, the OV-chipkaart. 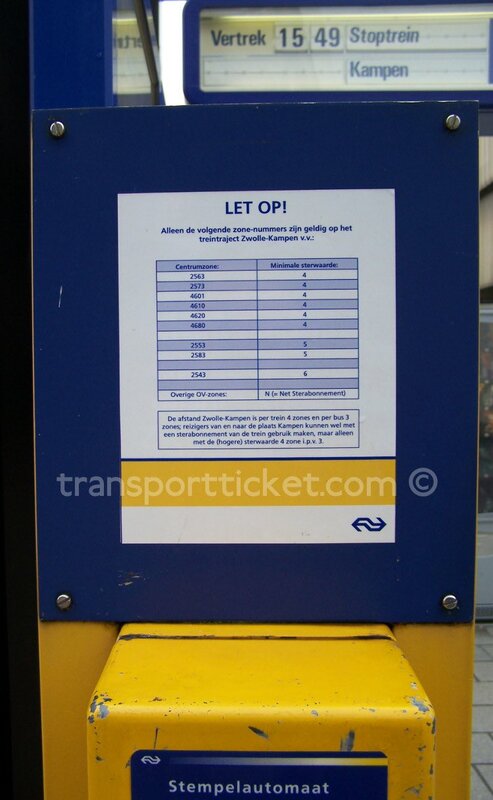 Rotterdam and Amsterdam are the first cities where the OV-chipkaart is the only valid transport ticket. 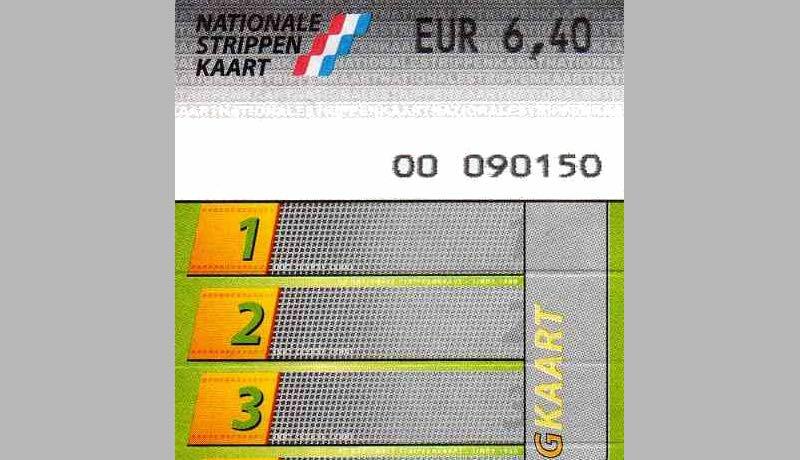 In november 2011 the strip ticket is abolished in the last regions. 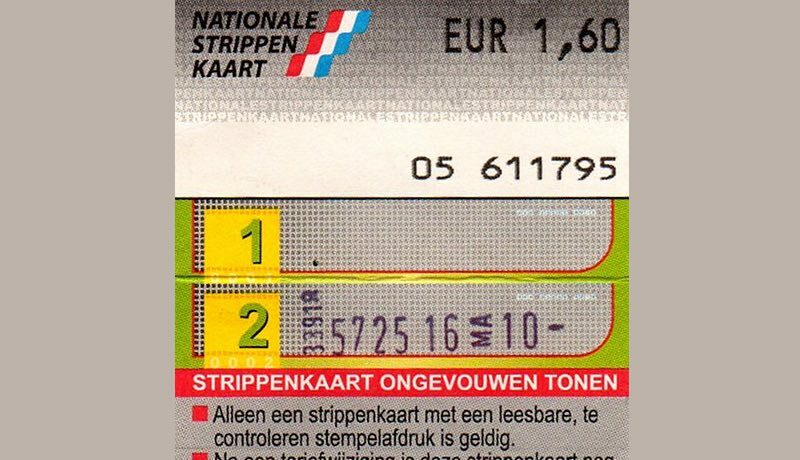 However the province of Zeeland decides to cease the sales of driver sold strip tickets on 1 January 2012. 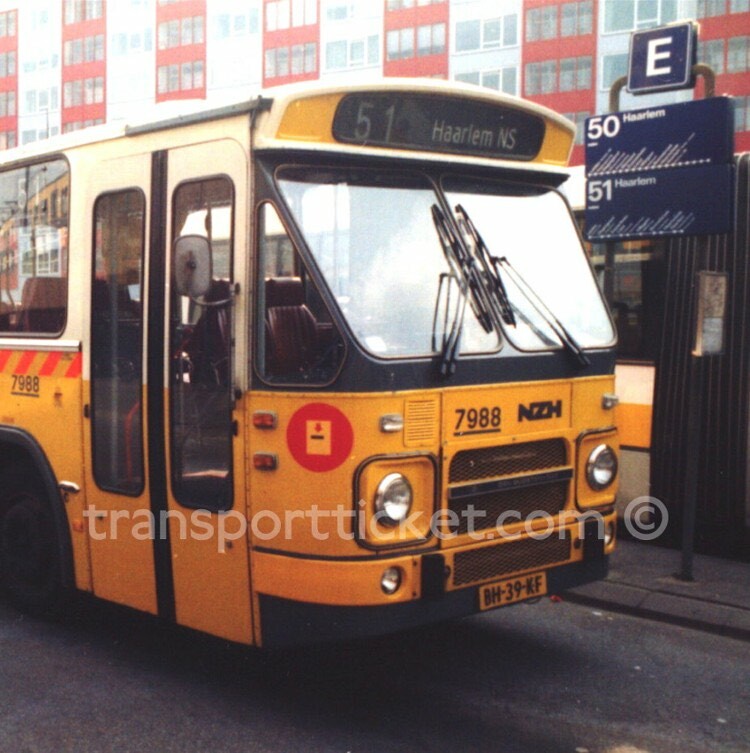 It is replaced by a regional strip ticket which is sold by the driver.